Sunny weather will step aside as strong wind from East to Northeast will return and is expected to reach Force 7. According to weather site ‘Temp Madwarna’ gail force winds will also prevail. 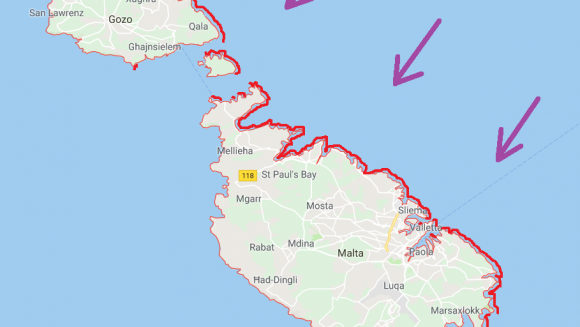 Drivers are being warned to avoid leaving vehicles under big trees or near the shoreline and also small boats in ports affected by such wind, especially in the Sliema, Valletta and Marsaskala areas. The Gozo ferry is expected to operate from the southern quay – Paradise Bay South Quay – at times between tomorrow Wednesday and Thursday.